Trust Master Plumbing to keep your Potomac Plumbing running smooth! Master Plumbing is the preferred provider of professional plumbing repairs in Potomac. 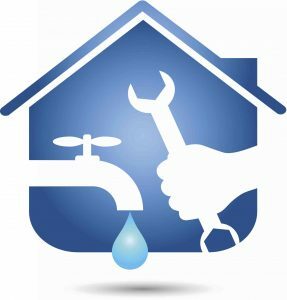 Some of our most common plumbing repair calls in Potomac are for garbage disposal repair, pipe repair, and water heater repair. Broken water pipes are always scary, even if you have an older Potomac home and know what to expect. If you have the signs of a broken pipe, like a sudden drop in water pressure or water streaming from your Potomac home or yard, we can also investigate to determine what the problem is. If the problem is a broken water pipe, we can determine what the cause is and make a recommendation as to what you should do. Many of the most common causes include pipes that are old or normal wear and tear. Keep in mind that frequent broken water pipe problems are a sign that the pipes should probably replaced altogether instead of frequently fixed. Your garbage disposal is one of the unsung heroes of the kitchen, and it’s a great way to easily get rid of small pieces of food waste when you are doing the dishes or cleaning out the refrigerator. We offer garbage disposal repair to all of our Potomac customers and can also replace the disposal entirely if yours is not repairable. Are you interested in installing a garbage disposal for the first time? We can also take care of that! Garbage disposals are an awesome way to get rid of food scraps and make your kitchen a cleaner place to be. We are happy to work with you to find the right water heater for your home if your current water heater can’t be repaired.